Teas and coffees are most used types of hot beverage, taking tea or coffee comes in routines and it is also a way to feel yourself fresh and charged again after getting tired! So for the tea and coffee lovers, presenting here this gorgeous DIY pallet coffee cart tutorial, provides the easy-to-understand instruction so you can build your own one at home easily without causing any load to your wallet! First step would be to get a collection of separated pallet lengths and you can simply disassemble a few of pallet boards for it! Now get the plan in your hands and move forward to cuttings, resize these slats to fit accordingly! 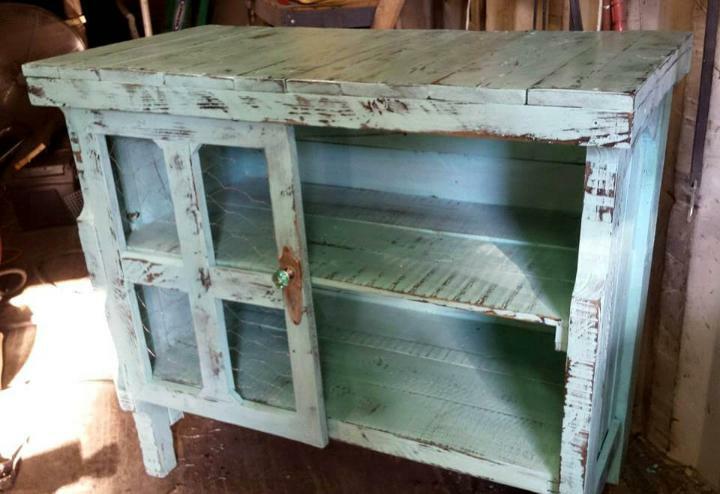 Here this coffee cart comes with 2 built in shelves and to store the coffee cups and also the coffee spices, one side of it has been covered with a little pallet door, hinged there in position! Other can also be covered with a door but here it has been left opened for direct access! Finally the coffee cart has been painted in light grey to look cool enough! Just visit the areas having most chances to find pallets, like the junky yards, scrap material piles, construction sides and shipping areas! 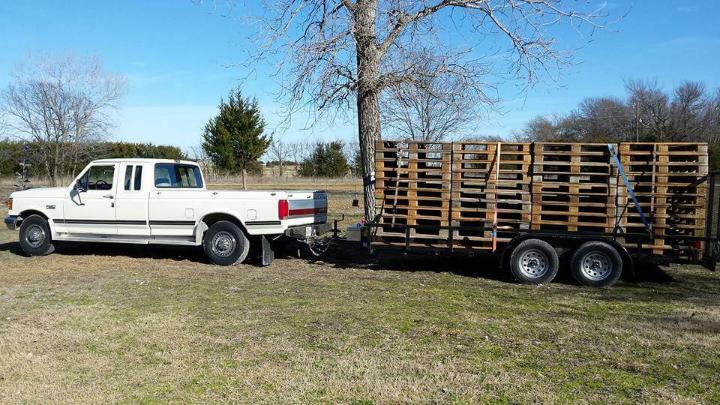 Load the retired pallets on your vehicle to bring them in home for amazing DIY! Here some of rustic pallet boards have been torn apart into pieces to build a coffee cart in custom dimensions! 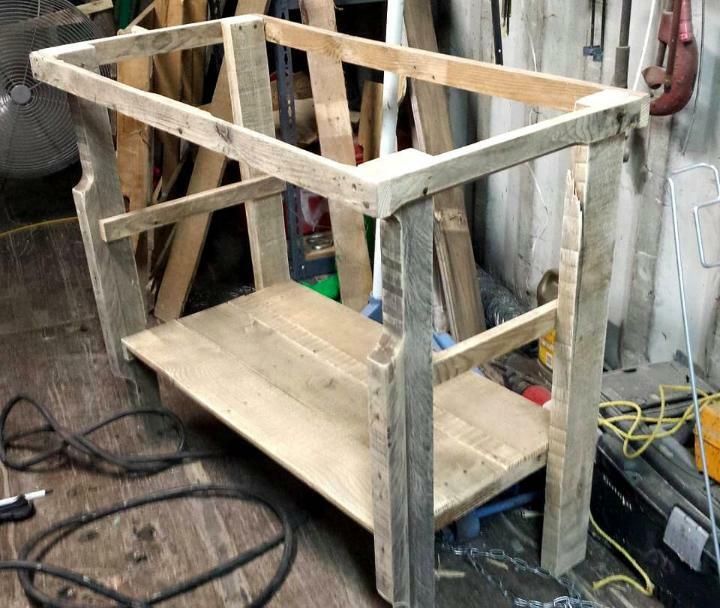 Here is the primary frame of coffee cart you can start with, built from straight pallet planks and stringer boards! Get more wooden slats and fill entire frame solid and do plan the straight pallet slats to build flat shelving levels to desired number! Here this coffee cart has been got with 2 built in shelves! 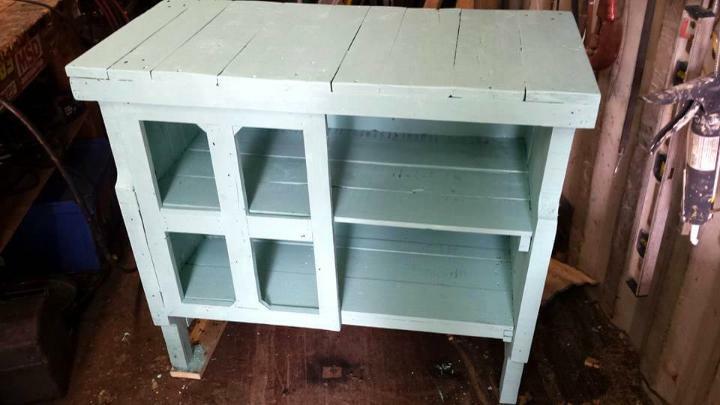 Finally a little door has been added to one side of it and then grey paint coats have been applied to gain a beautiful visual of it, apply think coats for a distressed look like shown here! Add more coats for a solid grey look of this coffee cart, do raise it on wheels to drive it smoothly to either direction! 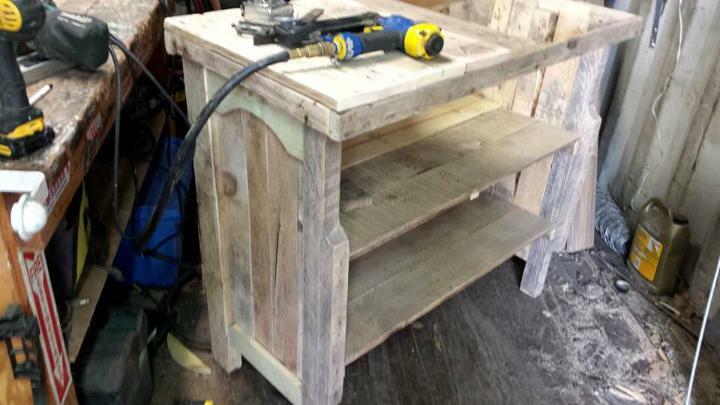 Amazing pallet idea to get a rolling coffee station for free!